Caring for Trees in Wickford and Basildon. B C S Tree Services provides an experienced and efficient tree service, whether you require a single visit or ongoing maintenance. 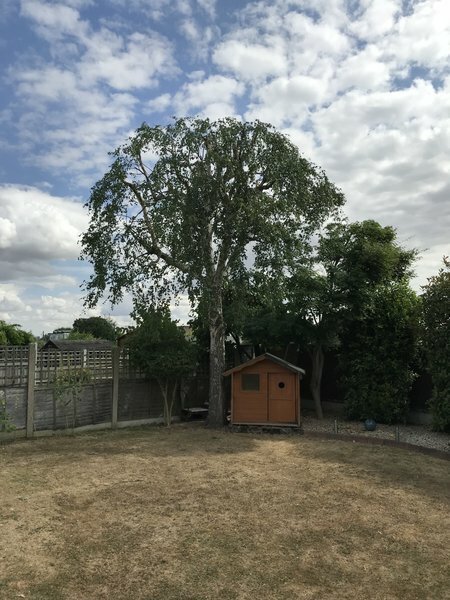 Trees require constant attention to be kept at their best, and you need a professional tree surgeon to tend to them efficiently and responsibly. B C S Tree Services can take care of them for you. Being qualified to levels II and III in City & Guilds Tree Surgery, you can count on us for all your tree work. 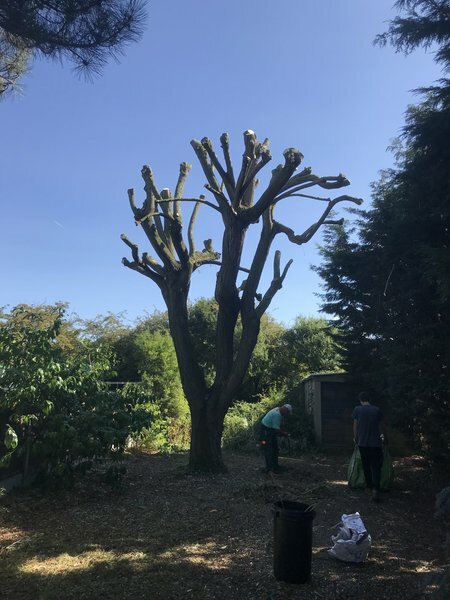 From ongoing maintenance for large grounds to one-off reductions and felling, we can fit around your schedule and individual requirements. 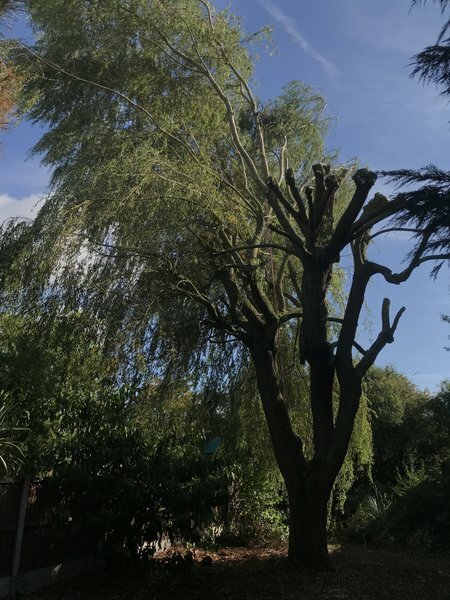 We aim to provide a flexible and knowledgeable service when it comes to tree surgery for all our customers, and we pride ourselves on high quality work at rates you can afford. Why not contact us for your free estimate? BCS felled an 80ft swamp cypress tree in our garden. They arrived on time and worked in a professional manner throughout the day. They even carved an armchair from part of the trunk! The remaining trunk was sliced into manageable pieces and moved to a storage area of our choice in the garden at our request. All smaller branches were removed from site. The area was left clear and tidy. We would have no hesitation to recommend BCS. Punctual. Organized team. Reliable. No fuss. Would use again. Arrived on time. Carried out the work efficiently and left the garden clean and tidy. Would gave no hesitation in recommending them. 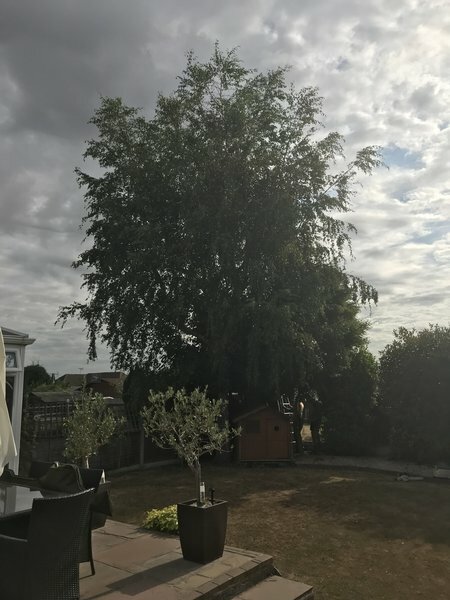 My neighbour had a very large poplar, 60ft plus and willow tree overhanging our very small gardens, and very close to our properties. I offered to pay to have fern removed. The possibility for property damage was very high, but BCS did a fantastic job. Quick and efficient, made it look easy. The clean up job afterwards was immaculate, and very reasonable rates too. Absolutely delighted and impressed! Barry suggested a different solution to chopping back my conifers, which has produced a much better long-term result. I appreciated his forthrightness in challenging my bad idea. The work itself was great and my garden was left tidier than before he came! Was very pleased with the work undertaken. Barry was very hard working. Left the garden very neat. Tidy would definitely recommend him. Barry can do any work for my again. B C S carried out a size reduction on a large ash tree with tricky access, and made it look easy. They also tidied up two other smaller trees and cut down a third. The job was completed more quickly than I expected, and the site left clean. Very efficient and prompt. All work carried out to quote and all rubbish removed from site. Would recommend trader and will definitely use again. Old school professionalism, attention to detail. We have had our trees cut back a few times, but never with so much care and precision. The difference could be seen in the shape of the trees after pruning. The tools and safety equipment were also apparent. Barry reshaped two of my apple trees. Very efficient. No messing about he just got on with it.